We invite you to a celebration of the Lent Term’s sporting achievements and a build-up to The Boat Race, held the following day. This relatively low-cost, high-class London event has been tailored to the Hawks and Ospreys Under-30s Members. Drinks will be available from The Queen’s Club Players Bar for those who arrive early (from 7.00pm). The 3-course dinner with wine will be served in The President’s Room from 8.00pm and will include light entertainment between courses. Please make known upon booking any dietary requirements or seating preferences you have. The dress code for the evening will be smart dress with Club ties, but no Blues Blazers. 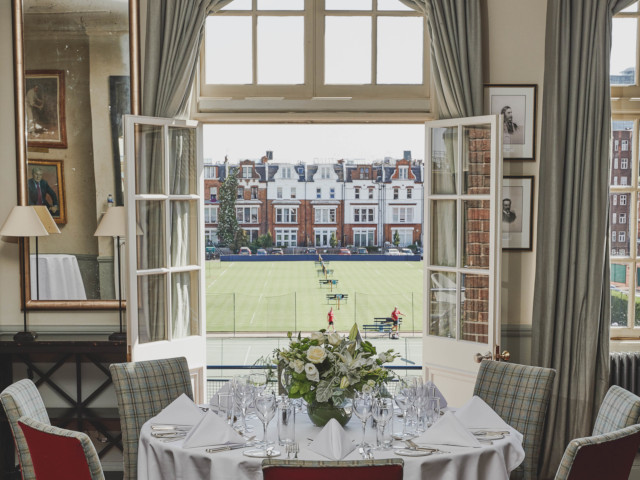 We are restricted to 120 places in The Queen’s Club’s exquisite sporting surroundings as such I urge you to contact your fellow Hawks and Ospreys early to fill out tables for what will be one of the highlights of the year.